Our Little Casita: It’s Friday…let’s have a drink! 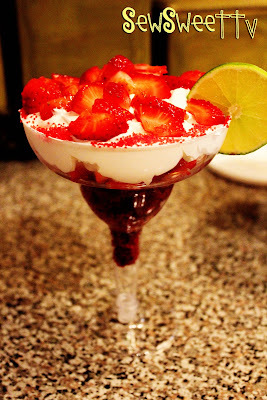 Okay so this isn’t a real alcoholic drink, but it’s a very cute idea for a party – Margarita Shortcakes! Head on over to SewSweetTV to find out how to make these yummy desserts! great dinner party idea!! prep ahead of time and you are ready to go! Another Item to Cross Off the List!